Mr. Blue was successful in Grand Prix and World Cup competitions. In breeding he proves that he is among the world with a listing in the top 10 of the WBFSH rankings. Grandfather is the preferred Voltaire who jumped international. Then we find the five best French sires, who brought horses as the Diamond Semilly, Quidam de Revel, Alme, etc. His mother Licorne des Forets jumped 1.50m at the international level, Grandmother Gekas des Forets jumped 1.40 m and was the most winning 6jr. of France, great grandmother Rhapsody II also jumped to 1.40 m. She is the sister of the approved stallion and international jumping Stew Boy. This line several approved stallions, national and international show jumpers. Zirocco Blue is a modern well built stallion and an extra jumper. He has power, media, technology, and is careful. In the stallion competition class Z / ZZ Zirocco Blue was one of the most outstanding stallions, he was 3rd overall in the league, he won the race and was 3rd in Deurne in Hengelo and Zuidbroek. 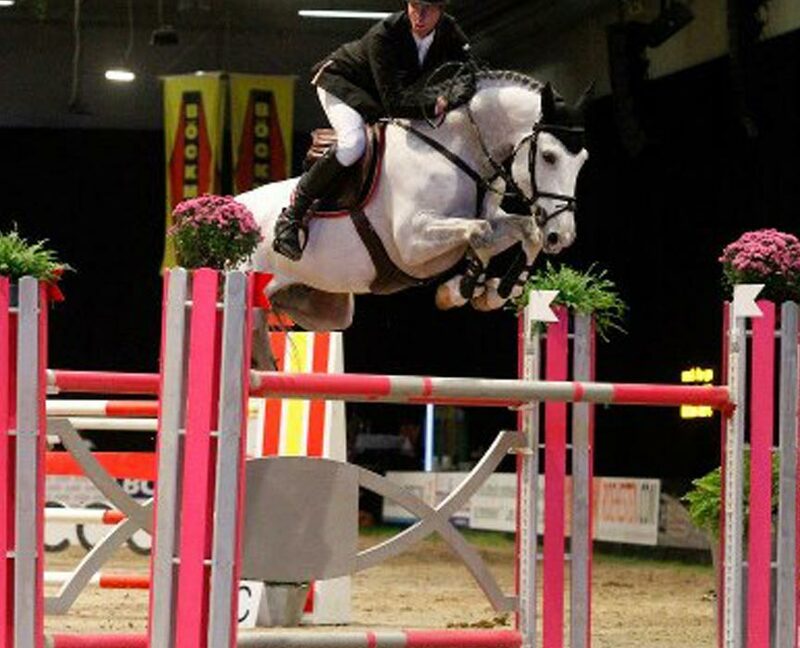 Under Jur Vrieling he has now made his international debut with clear rounds in 1.30m and 1.35m sections, he was 2nd in the 1.30m final of the Indoor Veendam. In Drachten, he was no less than three errors and was 7th in the finals. Zirocco Blue is the sire of several Champion Foals: Gerando was Champion at the Foal in Harich, Gold Fever was Champion of the CK Zealand and Geniene was here Reserve Champion, Gerko was Champion of CK Groningen. At the National Foal Tests were Gufrieda Gerando and well along in the final: Gufrieda was Gerando finished 3rd and 4th. From his first year his son Durango VDL approved for the KWPN. This year, two of his descendants designated for the 2nd round of the KWPN stallion. Daughter Danieta achieved a top score of 83.5 points for her son and Dirocco EPTM test B was 4th in the VSN Trophy for jumpers.